My husband and I are blessed with a creative little girl. She has more imagination in her pinky than I have in my entire body. She lives in a world of possibilities where her stuffed animals are her real friends and she’s never met a plot she didn’t want to recreate! So how do you home educate a creative girl? Creatively, of course! It really has taken some work on my part to figure out how to effectively homeschool Caroline. Her approach to life, learning style, and interests are significantly different from my own. So I study her and try to understand what makes her tick. And then I go from there. 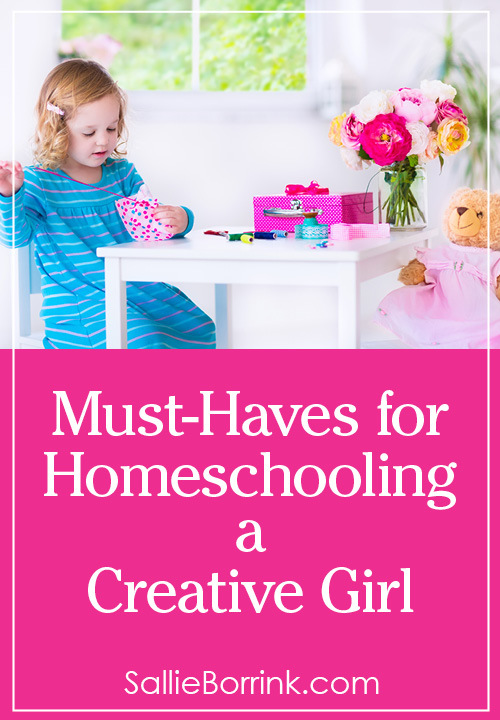 A big part of trying to homeschool her effectively has to involve honoring the creativity that God has given to her and finding ways to make it work for us as homeschoolers rather than seeing it as something extra when there is extra time. 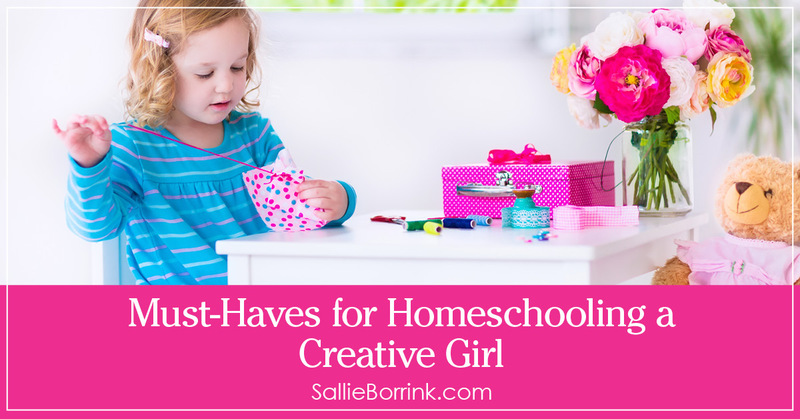 The first few must-haves for effectively homeschooling a creative girl aren’t things. They are actually character traits the parents must have or make the effort to develop. I’ve learned that a large part of effectively educating a creative girl has to do with me and my attitude. This is a must. Creative girls are romantic, dreamy, and often get lost in their own world. They don’t hear you the first time. Or sometimes the second time. I’ve learned to be patient. I’ve learned that sometimes it is just easier to adapt to Caroline’s natural bent than try to make her bend in a different direction. My preferences for how something should be done are not laws of nature and God. They are my preferences and that is all. Her preferences are just as important. I’ve learned to adapt. Honestly, this has been one of the harder things for me to learn to do. I’m not naturally inclined to imaginative play. I wasn’t that way as a child and so I’m certainly not that way as an adult. I’ve had to learn to make an effort to enter into the creative, imaginative world of my daughter and enjoy it for her sake. Creative girls make messes. I mean messes of epic proportions. In the frenzy to find that perfect item for whatever current imaginative thing is developing, the creative girl can leave a trail of semi-destruction. She’s so focused she doesn’t even think about the mess developing around her. I’ve learned to reach a compromise. I live with the mess for a time so as not to disrupt her creative flow. Then we clean up so there is room for more creativity to come. Creative girls are often also funny girls. But that isn’t necessarily what I mean here. This has more to do with the previous four things I listed. If you are a serious mom and tend toward being task-oriented (like me), you have to learn to have a sense of humor in the difficult times when your daughter’s creativity is running in direct opposition to your taskiness. (Yes, I made that word up.) I’m famous for saying “Laugh or cry” and having a creative child will give you plenty of opportunities to make that choice. You might think that some of these don’t seem like typical things you would see on a homeschool list. And you would be right. For our family of three creative people (each in our own way), education is about much more than books, paper and pencils. Our educational approach involves many different aspects, especially including play since our daughter is still young (second grade). So here is my list of must haves that have been tremendous positives with our creative daughter over the past four years or so! We have a craft cabinet that I keep well stocked with all kinds of materials (see my list). From time to time we take Caroline to Hobby Lobby or Michael’s and give her a certain amount of money to spend on new craft materials. Keeping an eye on the crafts sales on Amazon is another good way to add to a craft stash. We purchased an easel with all the easel supplies for Christmas when Caroline was three. It has been a tremendous purchase and one that every creative child should have. 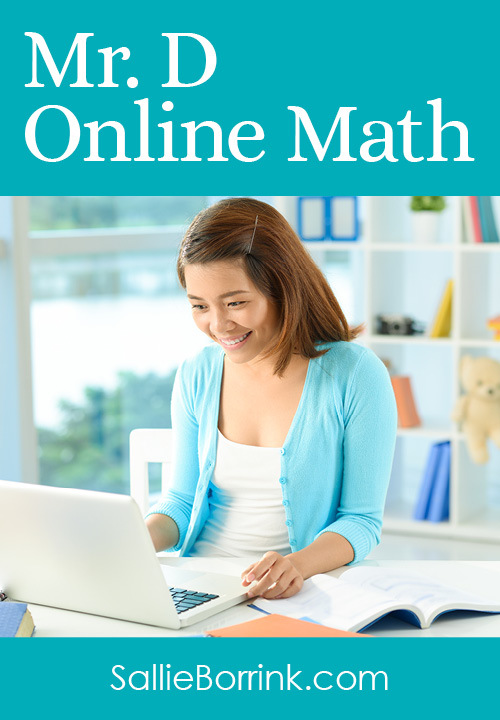 It offers so much – painting with a brush, finger painting, drawing, white board, chalk board, etc. It’s just a great learning tool. Dress up clothes are an indispensable part of life for a creative little girl. My parents bought Caroline a dress up trunk from Costco when she was three. It was full of fancy dresses and other accessories. I regularly added to it by picking up clearance jewelry, fancy scarves and such whenever I came across them. The dresses that dragged on the floor when she first got them now come up to her knees and she still wears them. Tinker Toys might seem like a strange item to have on a list for creative girls, but this has been one of the most used toys in our home over the past five years. We purchased three large round containers of pink and purple Tinker Toys from Toys R Us for Caroline over a period of a couple of years. It started with a puppet kit we purchased while out of town. Over the years Caroline has added many other sock puppets she has created either on her own or with David’s help. The puppets make regular appearances during play time. This is one of those crafts with a long-lasting purpose that I appreciate. (I also just discovered this wood spoon puppet kit which made me realize we should get some wooden spoons and try these! Caroline would love this!) On my wish list for Caroline is a puppet theater . Maybe some day! Here are two simple things to keep in mind when homeschooling your creative girl. Whether it is picture books, chapter books, or DVDs, it’s important to surround a creative girl with good stories. Wonderful stories are like highly nutritious food for a creative little girl! Creative girls need time. Lots of it. Their minds are full of creativity. Their imagination is a huge part of who God created them to be. In order to make the most of these precious gifts, they need time. Lots and lots of unstructured time. Creativity doesn’t function well in a rush. Imagination needs time to run its course. Give your creative little girl the gift of lots of time. She will be blessed because of it. Discover the other items iHN bloggers consider must haves! Great list! We have a creative girl too. Our messes are mostly in the form of fabric and yarn! Loved this! My creative girl is 17 and I am so thankful for all the years she got to spend crafting and making messes. I remember when she was 12 and I was wishing she would just pick one hobby. She loved embroidery, candle making, soap making, stamp collecting, making miniatures, crocheting, baking etc! She is thriving at our local community college and loves majoring in graphic design. Her room is filled with books and there’s always a creative mess in there. Oh my yes soooo many crafts need to go into crafting. I agree.